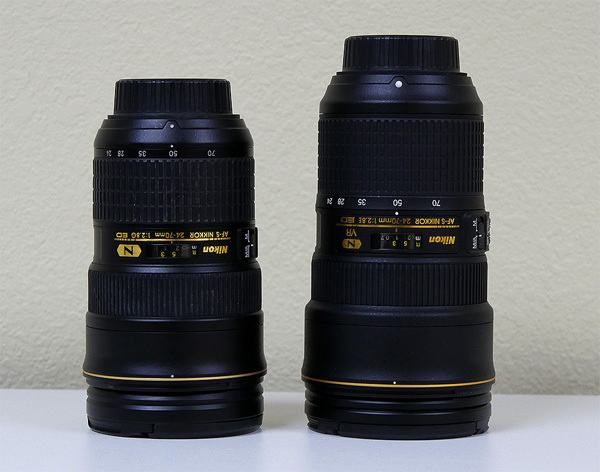 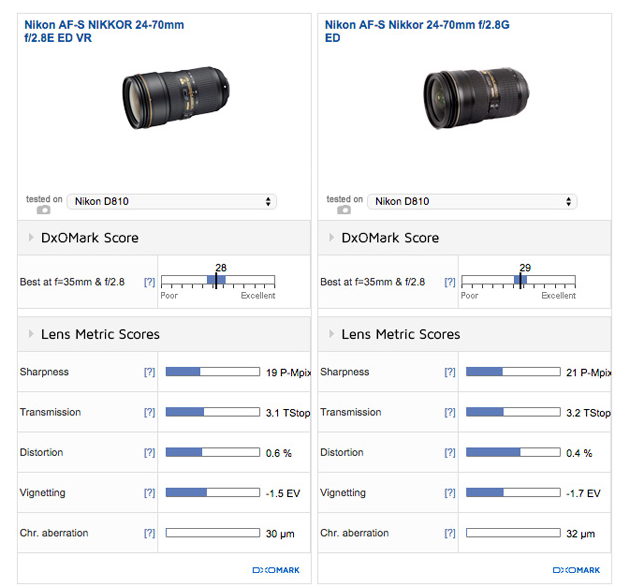 Paul Carroll has just posted a full review of the new released AF-S NIKKOR 24-70mm f/2.8E ED VR Lens (Amazon| Adorama| B&H| eBay) at the DxOMark. 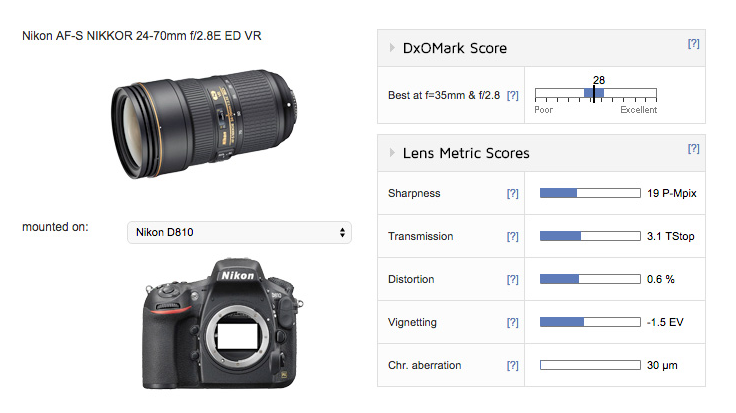 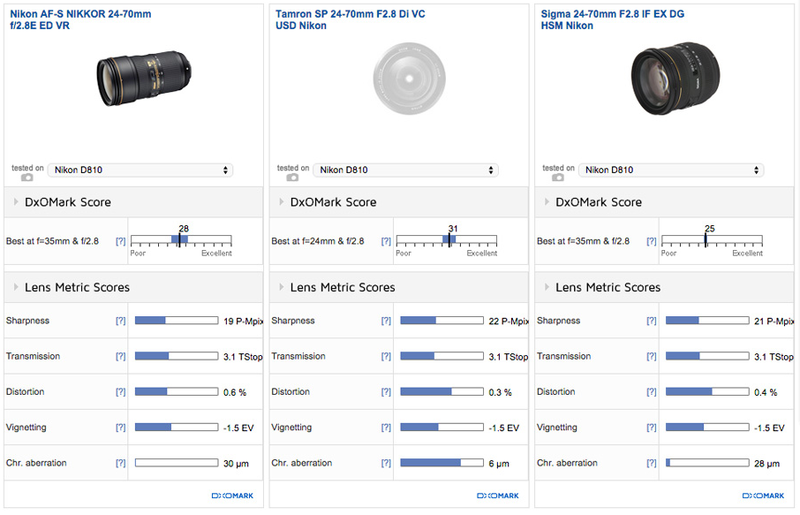 With an overall DxOMark score of 28 points, tested on the 36Mp Nikon D810, this standard zooms lens ranks in 3rd place behind its predecessor, the 29 points Nikon 24-70mm f/2.8G and the third-party 31 points Tamron SP 24-70mm f2.8 Di VC USD lens. 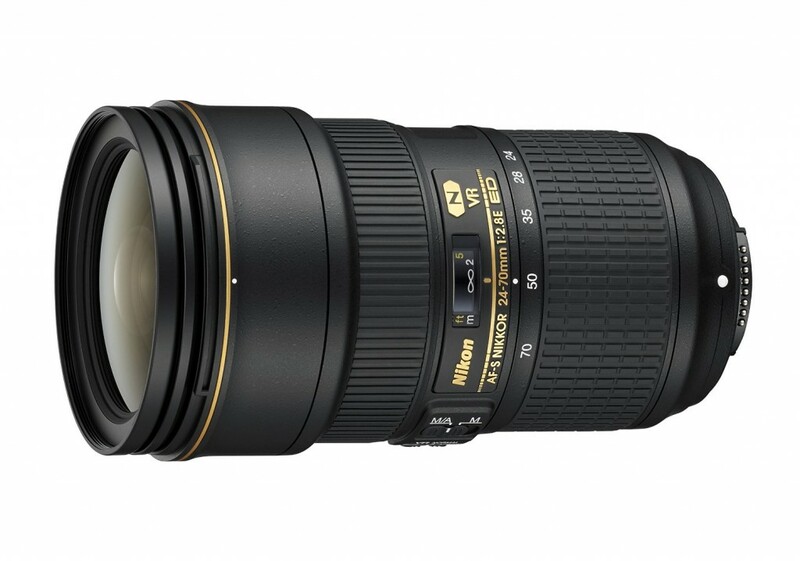 This entry was posted in Nikon Lens and tagged Nikon AF-S NIKKOR 24-70mm F/2.8E ED VR lens, nikon lens rumor on December 5, 2015 by admin.